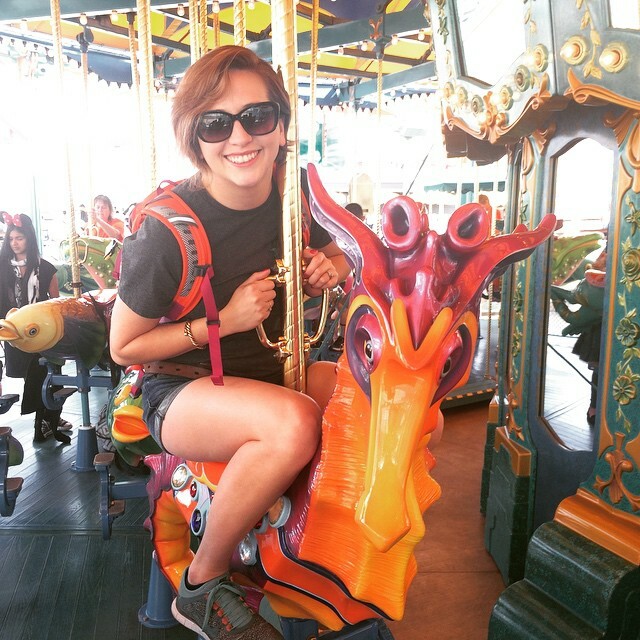 Today we introduce you to Domanique, a member of CAKE’s Design Team based out of the California office. She is our Director of UX (User Experience), and she focuses on touchpoints like our website, tradeshow experiences, product, and portals. When Dom started at CAKE (back in October 2013), it was an easy fit; prior to joining the team, she designed web apps and interactive data visualization projects for startups, non-profits, and Fortune 500. Fun fact: she studied Web Design & Interactive Media at The Art Institute of Portland, and Media Arts & Computer Science at Wellesley College. Sure thing, I’d love to share about my role! As Director of UX, I lead the design team at CAKE. Technically, we sit under the umbrella of the Product team, but we also act as an in-house agency. Design Leadership – I work to ensure that our brand and UI designs are in line with our Design Principles. Customer Advocate – I meet with clients, integrate their feedback into our design, and ensure that we provide the best solutions for our clients. Data-Driven Culture – Alongside the product managers, I collect and parse data about our projects and features to ensure that inform their design. I really enjoy working with the product team and the kind of design challenges that come up in my work. I thrive in an environment where we chew on a problem until we find the best solution that fits within the current boundaries and interaction patterns, that won’t poorly affect our clients. It’s quite a shift from a frequent problem that we designers encounter: when a client asks the you to make a shiny flashy design. This sort of request can be frustrating, because while they look good, flashy designs focus on the aesthetic of a final project, but are not necessarily the best designed solutions for the problems that we’re trying to solve. Imagine you have a problem: how to get food into your mouth. A good design would be a simple spoon – a small rounded surface attached to a handle that allows you to pick up the spoon and bring food to your mouth. Small enough to fit in your mouth. Large enough to get a decent bite. But what if we made it even bigger? And added some LED glow lights, a tiny bluetooth speak, and why not print a Facebook logo on the handle while we’re at it? That seems like an ineffective design to solve the original problem. At CAKE, it’s a super rewarding design process. Everyone is focused on what the problem is that we’re trying to solve, and our clients come first. We use Personas to talk through problems and frame what a user is trying to accomplish. We use user flow charts and journey maps to understand the steps to accomplish a task. And we test with our clients for direct feedback. It feels good to work on a team that is so user focused, and to solve design problems that require lots of thoughtful consideration, research, insight, and attention to detail. One of my biggest take-aways from my time at CAKE is that performance marketing is a relationship-based industry, and it’s important to value your partners. Like any new relationship, trust between new partners can be a bit fragile to start. CAKE has some really powerful features to help manage those new relationships and build trust, like fraud prevention alerts, volume based tiers, and affiliate tiers. Outside of CAKE, I’m nerdy, crafty, and an adventure enthusiast. I play D&D with friends. I’m part of a knitting group and I like to embroider. I also love going on adventures, like camping, traveling, or attending arts/music festivals. 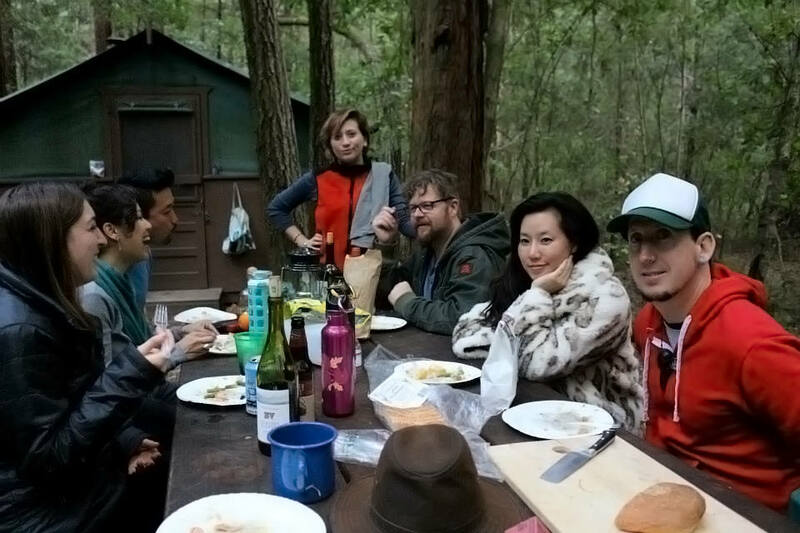 Dom & friends at a camping trip to Big Basin. Each year, they try to arrange an annual trip to a new location that they haven’t been to before. Well, clearly it would Kylo Ren. Because Kylo Ren. Or a Kahjiit. Can I play a Kahjiit? This one thinks it would be fun, she knows it like her own whiskers. I have never seen a film staring Tom Cruise. When I was an early 20-something, I realized it and decided to keep it going. Stay strong.